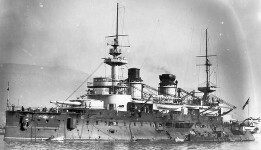 Louis Bechennec joined the regular French Navy or Marine Nationale as a volunteer in 1913 for five years, training in Toulon as a fireman (chauffeur - stoker in British usage). patrol boat Le Pierrot II, Gascony Patrol Division, Lorient. 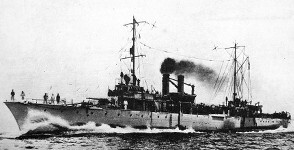 Remaining in the Navy until 1920, he served on two French-built wartime sloops (avisos) of the Marne-class - L'Aisne and La Marne. His French war medals are not known, but he was awarded the Serbian War Merit Cross in Bronze for taking part in the evacuation of the Serbian Army in early 1916 after their winter retreat though Montenegro and Albania to the Adriatic coast. Most were taken to Corfu where the Serbian Army was reformed. Louis is believed to have been serving on auxiliary cruiser La Lorraine at the time. "Gilt bronze medal in the form of a trophy of arms with loop for ribbon suspension decorated with laurel and oak leaves; the face with a trophy of military and naval arms imposed on standards above the motto ‘OUBLIER…JAMAIS!’ (Never forget - the loss of Alsace-Lorraine) ....... A national society of retirees who were veterans of the 1870-1871 war against Prussia (Germany) was founded on 1 January 1893 by Commandant Charet. It met with great success, attaining a membership of more than 300,000 within ten years." This medal belonged to Daniel's great grandfather, Louis Henri, who was born in 1870 (the year of the Franco-Prussian War), did his military service in 1890 in the infantry and in the Great War, was mobilised on 31 March 1915 in the Réserve de l'Armée Territoriale de Quimper" (86° Regiment Territorial d'Infanterie ). He was hit in the eye by a stone on the 21 November 1916 and blinded. 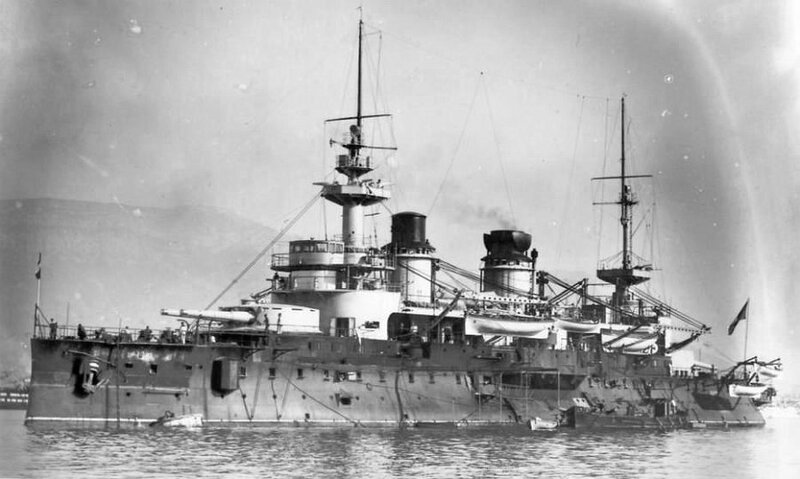 He then joined the French Merchant Navy, sailing on steamships (vapeur) Titania, Hippolyte Worms, Styria, refrigerated ship (refrigerant) Rochefort, and steamship Grandlieu. After his sea service, Louis returned home to Le Guilvinec , south of Finistère, in Brittany. He became a joiner and later a gravedigger, while his wife, Louise (pictured in traditional dress) ran a café and grocery store and also sold funeral-related articles.